Tonino is the youngest son of Antonio Montana. His magical family lives in Caprona, a state in an alternate-universe never-unified Italy. Also there is the Petrocchi family, the other strong magical family of the land. The two spell-houses hold the city together but they hate each other due to a decades-old feud. Unfortunately, their feud makes each house weaker and more vulnerable to an evil enchanter who has decided to destroy Caprona. 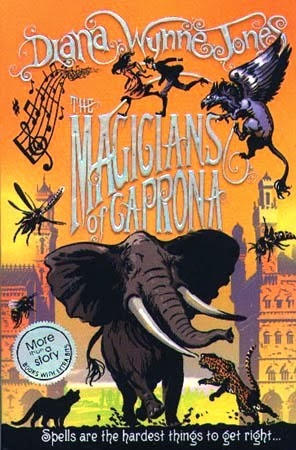 Unless they come together, they can never complete the task that Chrestomanci has set for them -- to find the true words to the powerful hymn, "The Angel of Caprona". 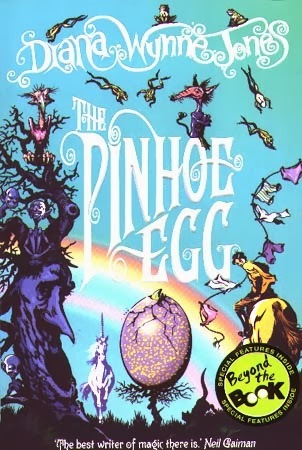 Focusing on the villages around Chrestomanci Castle, The Pinhoe Egg returns to the story of Cat Chant. There is some bad magic going on and it takes the strength of a few brave children to set everything right. Four short stories set in the Chrestomanci universe -- Warlock at the Wheel, Stealer of Souls (featuring Tonino and Cat), Carol Oneir's Hundredth Dream, The Sage of Theare. 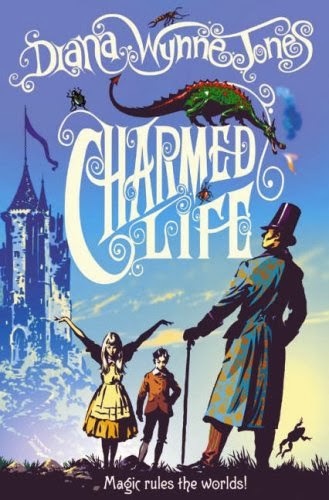 Share your Chrestomanci love today! Oh Witch Week! 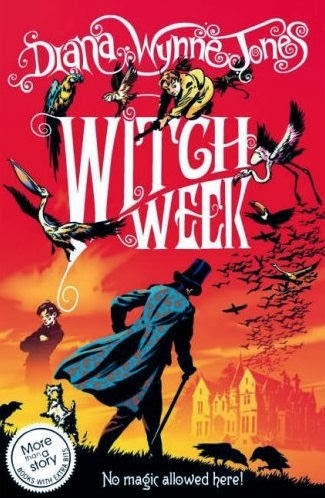 I so love Witch Week! 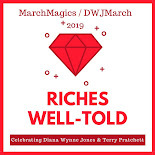 It's one of the DWJ books that has aged the best for me -- every time I read it, I find something more to love about it. 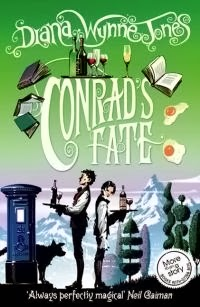 Easily my favorite of this series, with Conrad's Fate a close second because it's fun for me to see teenager Chrestomanci. I did like it more the second time I read it (go figure!) but it didn't grab me in the way other DWJs have. I guess I need to read it again! Yes, the last two are more settled and start expanding the world. It would have been interesting to see if DWJ would have ever continued the series. This is what a series should be -- not one big long story that could be one stretched book, but stories all branching off and expanding the world and visiting the characters in different parts of their lives. It's much more fun this way! And I had that problem with Caprona too until it all clicked on a reread. 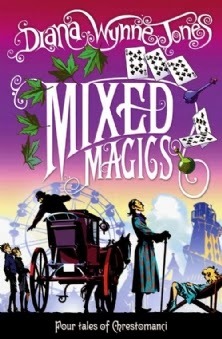 For me the thing about the Chrestomanci books that inspires the 'meh' remembrance is the really unappealing characters--even the heroes and heroines tend to be selfish and bratty, and the bad guys are just awful (in an intensely mediocre way: not deliciously awful like Voldemort, just really stupidly unpleasant)! 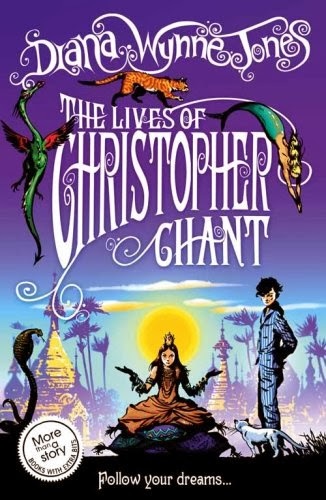 But then I reread them, and Chrestomanci puts everyone in their place, and the kids live up to his expectations (finally, mostly, sort of), and the stupid bad guys get hoist by their own petards, and I remember why I love the books so much! I've only read one of these, which was Witch Week. I read it a long time ago, so don't remember much about it. This series is part of my mental TBR though. If I have time, I am really hoping to tackle the first book in this series this month! I'm pretty sure I have it on my shelf! I'm rereading it right now. It's even crazier (in a good way) than I remember!